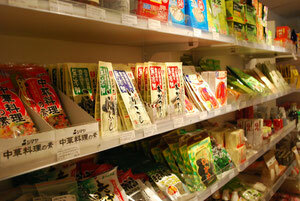 We have most of the key ingredients for Japanese dishes, so please feel free to ask us. We can send the products Australia wide by Australia Post. A handling fee of $5.00 will apply for the purchase under $50.00. You can email or make a call to contact us, and we will reply as soon as possible. (normally within 1 or 2 business days.) The payments are VISA/MASTER card only. After we confirm your payment, we will arrange the delivery. Example of items we have : Gluten free Tamari Soy sauce, Barley Miso paste, Red/White Miso Paste, Dashi stock powder, Sake, Mirin, Panko bread crumbs, 100% Soba noodle, Shirataki noodle, Kuzu starch, Umeboshi (pickled plum), Umeboshi vinegar (ume su), Yuzu juice, Japanese sencha green tea, Bancha green tea, Japanese Nori seaweed, wakame seaweed, Japanese curry block, variety of Japanese sweets, and many more.